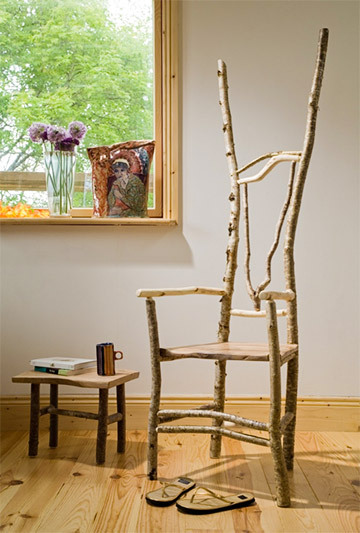 Since 1996 Alison Ospina has been making beautiful sculptural chairs from locally coppiced hazel at her workshop near Skibbereen. During the spring and summer months she teaches one day stool/small table courses + 3 days for making full sized armchairs. If you are staying in “Cottages for Couples” accommodation you could be enjoying a 1 or 3 day chairmaking course at the Green Wood Chairs Studio, West Cork – only ten minutes’ drive away from the treehouses and cottages. Courses run from 10am to 5pm – lunch, refreshments and all materials are included. For those who would like to own a Green Wood Chair without actually making it themselves, Alison is happy to work to commission and usually has a range of chairs, stools and small tables for sale from the Green Wood Chairs Studio. From sheepskin footstools, rocking chairs with solid elm seats, to leather-seated fireside chairs, Alison creates a wide range of furniture including a diminutive ‘My Chair’ for children. All chairs are made from eco-friendly coppiced hazel cut from woodlands near Kealkil and Skibbereen – Green Wood Chairs – grown in West Cork! 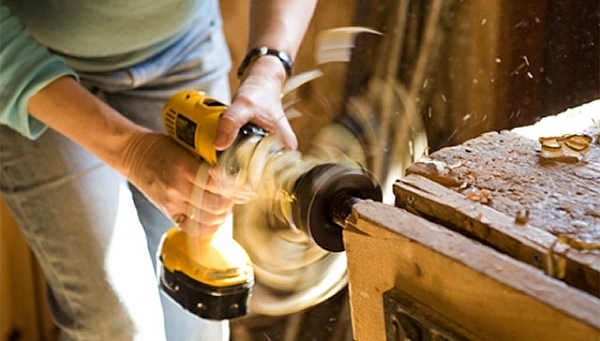 After a full day of chair making, nothing beats heading back to a tree – house or cottage and jumping in the hot tub! Contact Details: Alison Ospina, Green Wood Chairs, The Wooden House, Rossnagoose, Skibbereen, Co. Cork. Courses run May–September but flexible and can be arranged at other times to suit visitors. Minimum 2 students per course, maximum 5 students. Premises not generally open to public except for courses but visits welcome if arranged in advance by phone or email.